Red glitter is delicious low-hanging visual fruit. Especially for Halloween. 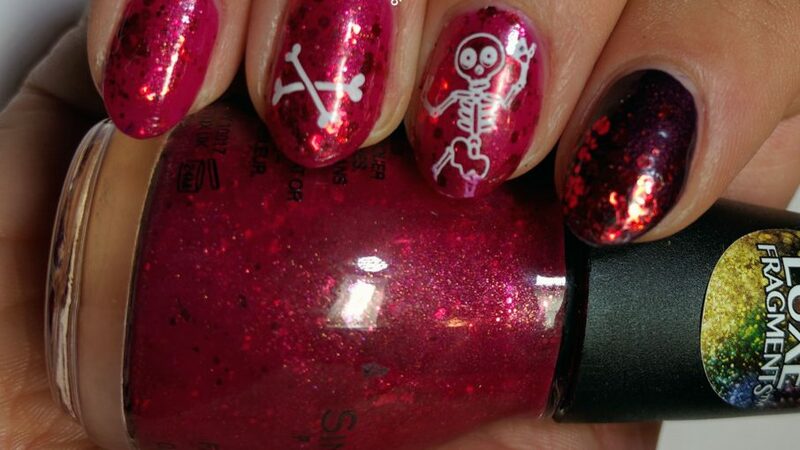 My new Halloween nail plates had arrived so I had my choice in what images to throw on top of it. 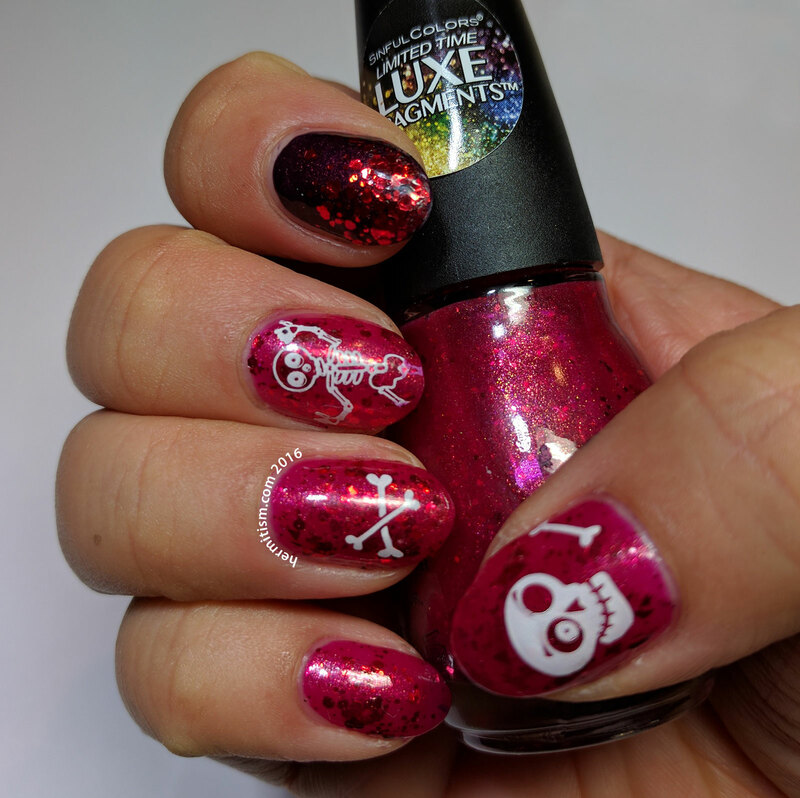 The expressions on the faces of the skulls on DXE18 were adorable, so I chose to feature one of them on my thumb and scatter bones and the skeleton on the rest. I’m trying to finish using up my bottle of “Snow Me White” which has gotten very old and thick and stamps quite well if you move fast. Almost there!